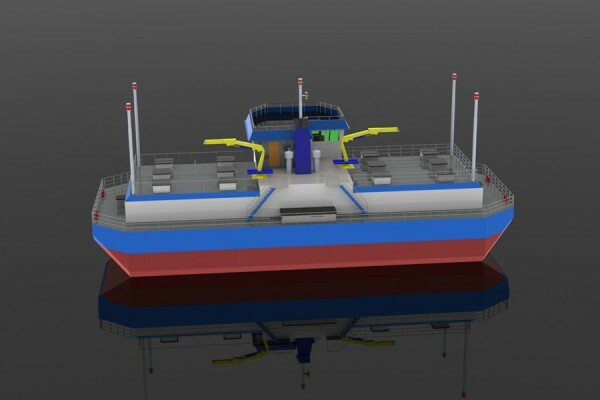 Designed especially for Aquaculture. 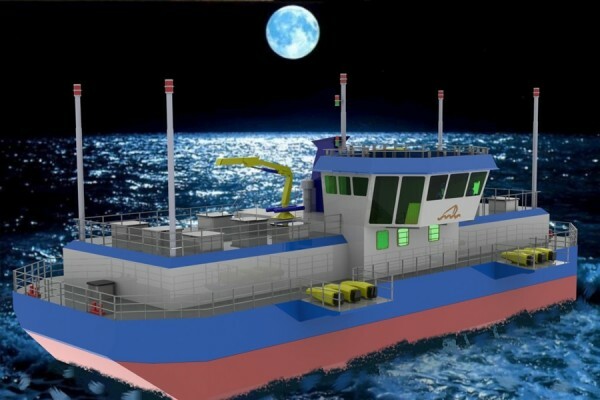 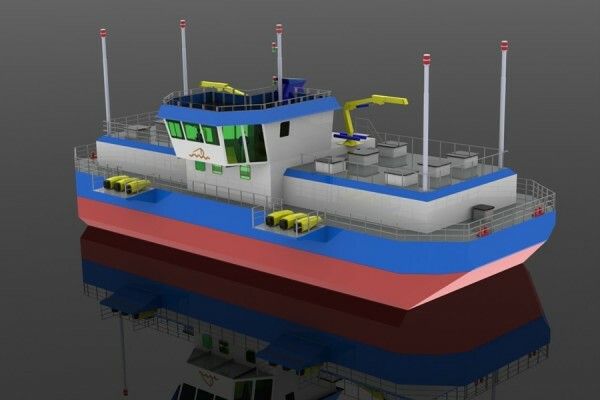 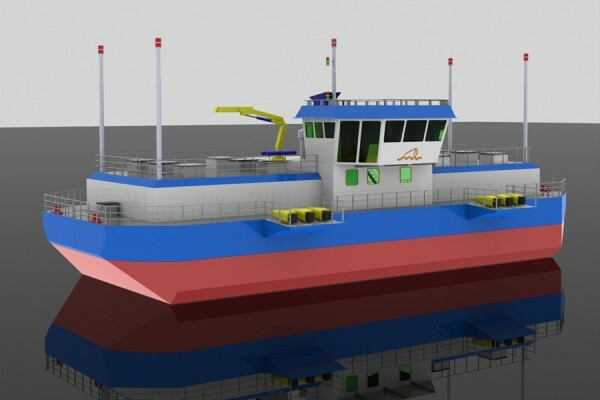 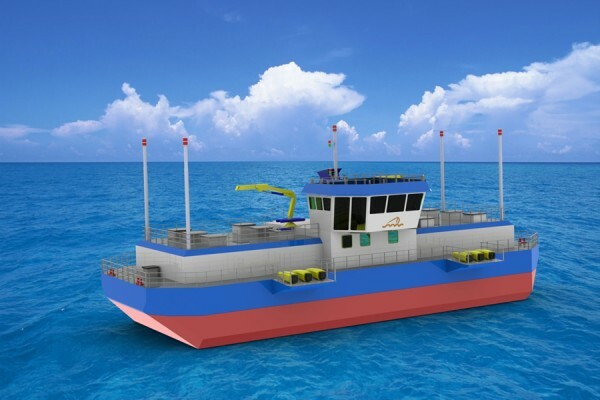 This model is equipped with the means necessary for storing 400 t of feed and its subsequent distribution to floating fish farms on the open sea. 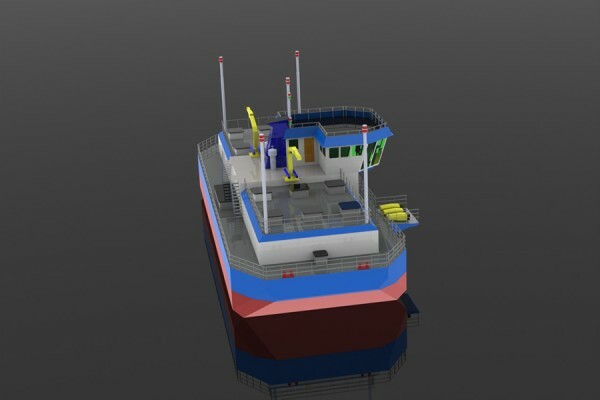 Draught to main deck: 3,80 metres.